Maggie has taught law/legal practice since 1994 when she joined the University of Exeter, moving to Plymouth University in 2006 where she successfully led the post-graduate Legal Practice Course for 8 years as a senior lecturer. Maggie returns to Exeter this year as a visiting lecturer. 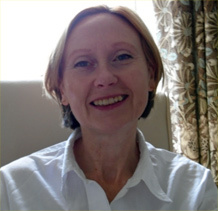 As a Senior Fellow of the Higher Education Academy, Maggie has a particular interest in the theories and research that support good practice in teaching and learning; she has considerable experience as an external examiner and has worked in that capacity for the Solicitors Regulation Authority. A civil litigator by training, with 10 years legal practice (London and Devon), Maggie has wide experience of civil procedure and of legal practice. Maggie's publication interests include insurance law and practice and civil procedure; she is a member of the editorial committee of Lloyds Maritime and Commercial Law Quarterly Yearbook contributing since 2001 to the annual review of English insurance law cases section. In 2015 Maggie worked with Professor Rob Merkin to co-author 'The Law of Motor Insurance, 2nd edn' (Sweet & Maxwell).